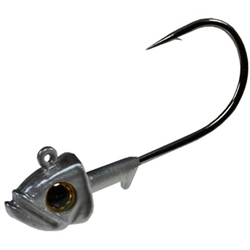 Picasso's Smart Mouth Fish head's are designed for School-E-Rigs. The unique head design produces an awesome wobble action. Both sizes come with a 4/0 Gamakatsu hook.